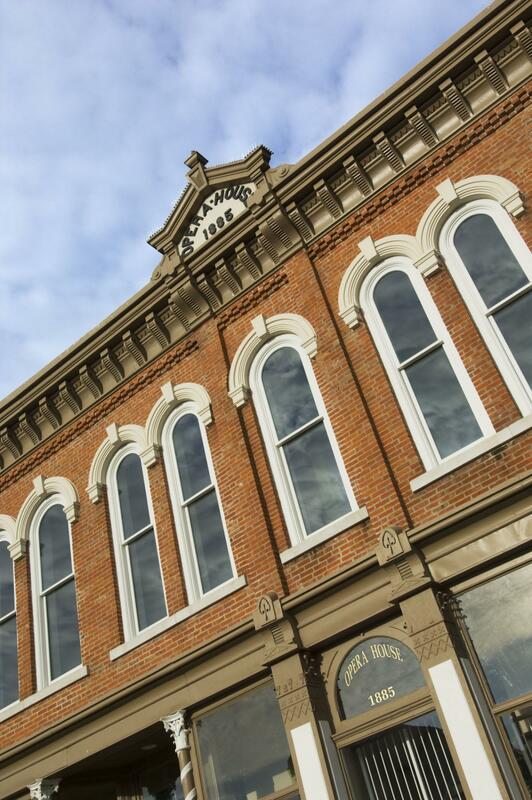 Built in 1885 and fully restored in 2003, the Red Cloud Opera House figured prominently in the life of Willa Cather. From performing on the Opera House stage to enjoying traveling productions that came by way of the railroad, Cather’s interest in the arts was spurred by the experiences she had here in her youth. She delivered her high school graduation address from the Opera House stage in 1890, and the facility closed its doors in 1920. In a 1929 letter to friend and journalist Harvey Newbranch, Cather wrote, “When I go about among little Nebraska towns, the thing I miss most is the opera house. No number of filling stations or moving picture theatres can console me for the loss of the opera house.” Today, a visit to the Opera House transports patrons back in time to the 1880s, when Willa Cather and her friends eagerly anticipated the arrival of traveling productions such as The Bohemian Girl and The Mikado. We are proud to utilize the facility to create rich educational and cultural opportunities for area residents and our visitors from across the nation.